Am 20. März 2012 organisiert das Internationale Literaturfestival Berlin (ILB) eine weltweite Lesung für den chinesischen Schriftsteller und Friedensnobelpreisträger Liu Xiaobo. Liu Xiaobo (*28.12.1955) ist seit Juli 2009 im Gefängnis, am 25.12.2009 wurde er zu elf Jahren Haft verurteilt, nachdem er und andere Intellektuelle das Bürgerrechtsmanifest Charta 08 publiziert hatten. Die weltweite Lesung möchte Liu Xiaobos Werk noch bekannter machen und den Protest unterstützen. 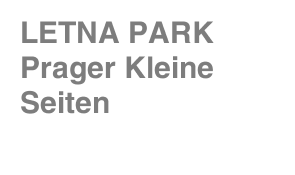 Vorgestellt wird die Charta 08 und einige seiner Gedichte. Der Aufruf wurde bisher von folgenden Persönlichkeiten unterzeichnet: Héctor Abad (Kolumbien), Kwame Anthony Appiah (USA), Amir Hassan Cheheltan (Iran), Noam Chomsky (USA), Bei Dao (China), Ariel Dorfman (Chile), Péter Esterházy (Ungarn), Aminatta Forna (U.K., Sierra Leone), Juan Goytisolo (Spanien/ Marokko), Herta Müller (Deutschland/Rumänien), Amos Oz (Israel), Laura Restrepo (Kolumbien), Henrietta Rose-Innes (Süd-Afrika), Salman Rushdie (Indien/ USA), Tomaž Šalamun (Slovenien), Peter Schneider (Deutschland), Sjón (Island), Janne Teller (Dänemark), Dubravka Ugrešić (Kroatien/Niederlande), Anne Waldman (USA) und viele andere SchriftstellerInnen aller Kontinente. Das ILB bittet Personen oder kulturelle Institutionen, Schulen, Universitäten und/oder Radio-Sender am 20. März Lesungen zu veranstalten. Damit alle UnterstützerInnen dieser Initiative von geplanten Veranstaltungen erfahren und sich koordinieren können, wird um Mitteilung gebeten. Email-Adresse: worldwidereading@literaturfestival.com. Auf der Website www.literaturfestival.com können alle Interessierten erfahren, wer bereits zugesagt hat und an der Aktion teilnehmen möchte. Appeal for a worldwide reading on March 20th 2012 for Liu Xiaobo. He will be released in June 2020. The international literature festival Berlin (ilb) calls on cultural institutions, schools, radio stations and interested parties to participate in a worldwide reading of prose and poems by the Chinese author and 2010 Nobel Peace prize laureate Liu Xiaobo on March 20th 2012. 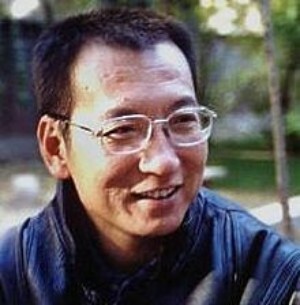 Liu Xiaobo was imprisoned three times before his last arrest in 2008. 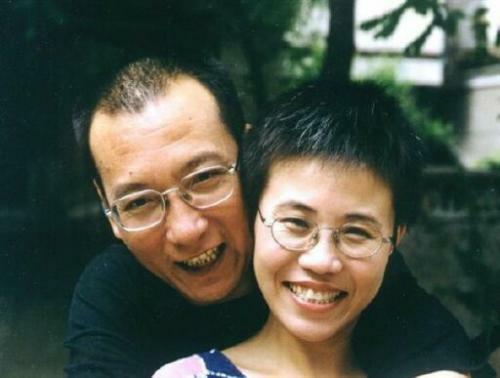 While serving his three years of “Reeducation through labor” between 1996 and 1999, he wrote many poems in prison, all dedicated to his wife Liu Xia. As a young man, Liu devoured books on western and Chinese philosophy and literature, and this experience is strongly reflected in his lyrical writing. From Confucius to Kant, from Sima Qian to Van Gogh or Jesus, for young Liu Xiaobo, knowledge had no borders. As a proliferate writer, his writing has influenced generations of young people in China since the 1980s. When his articles and books were banned and censored in mainland China, he began submitting his writings to overseas Chinese websites. His books have been published in Hong Kong, Taiwan and the USA. Liu's explosive and lyrical style, marked by its razor sharp criticisms and pervasive irony, has cooled down in recent years and transformed into more thoughtful and objective prose. He changed his role from an agitated activist to an observer and analyst. Mimicking the form of Czechoslovakia’s Charter 77, Liu Xiaobo and his Chinese colleagues selected a rational and peaceful way to express their concern for China's future development through their own manifesto, Charter 08. Freedom, equality, justice and human rights are universal values, standard in a modern society, and not inconsistent with the official rhetoric of the Chinese government, which touts China's rule of law. Both within the Chinese Constitution and within the international treaties the Chinese government has signed, there is a guarantee of the freedoms of expression, assembly and publication. Thus, the accusation that Liu was “inciting subversion of state power” is a joke and a slap to China's own face. The international literature festival Berlin called for a worldwide reading on March 20th 2012, with a reading of Liu Xiaobo’s Prose and lyrics. As many as 100 institutions, including radio and television stations, either participated in or reported on the worldwide readings across all continents. The tremendous historic changes of the mid-19th century exposed the decay of the traditional Chinese autocratic system and set the stage for the greatest transformation China had seen in several thousand years. The Self- Strengthening Movement [1861–1895] sought improvements in China’s technical capability by acquiring manufacturing techniques, scientific knowledge, and military technologies from the West; China’s defeat in the first Sino-Japanese War [1894–1895] once again exposed the obsolescence of its system; the Hundred Days’ Reform  touched upon the area of institutional innovation, but ended in failure due to cruel suppression by the die-hard faction [at the Qing court]. The Xinhai Revolution , on the surface, buried the imperial system that had lasted for more than 2,000 years and established Asia’s first republic. But, because of the particular historical circumstances of internal and external troubles, the republican system of government was short lived, and autocracy made a comeback. The “Reform and Opening Up” of the late 20th century extricated China from the pervasive poverty and absolute totalitarianism of the Mao Zedong era, and substantially increased private wealth and the standard of living of the common people. Individual economic freedom and social privileges were partially restored, a civil society began to grow, and calls for human rights and political freedom among the people increased by the day. Those in power, while implementing economic reforms aimed at marketization and privatization, also began to shift from a position of rejecting human rights to one of gradually recognizing them. In 1997 and 1998, the Chinese government signed two important international human rights treaties.2 In 2004, the National People’s Congress amended the Constitution to add that “[the State] respects and guarantees human rights.” And this year, the government has promised to formulate and implement a “National Human Rights Action Plan.” But so far, this political progress has largely remained on paper: there are laws, but there is no rule of law; there is a constitution, but no constitutional government; this is still the political reality that is obvious to all. The ruling elite continues to insist on its authoritarian grip on power, rejecting political reform. This has caused official corruption, difficulty in establishing rule of law, the absence of human rights, moral bankruptcy, social polarization, abnormal economic development, destruction of both the natural and cultural environment, no institutionalized protection of citizens’ rights to freedom, property, and the pursuit of happiness, the constant accumulation of all kinds of social conflicts, and the continuous surge of resentment. In particular, the intensification of antagonism between the government and the people, and the dramatic increase in mass incidents, indicate a catastrophic loss of control in the making, suggesting that the backwardness of the current system has reached a point where change must occur. 1) The legitimacy of political power comes from the people; the source of political power is the people. 2) Political control is exercised through choices made by the people. 3) Citizens enjoy the genuine right to vote; officials in key positions at all levels of government must be the product of elections at regular intervals. Constitutionalism: Constitutionalism is the principle of guaranteeing basic freedoms and rights of citizens as defined by the constitution through legal provisions and the rule of law, restricting and defining the boundaries of government power and conduct, and providing appropriate institutional capability to carry this out. In China, the era of imperial power is long gone, never to return; in the world at large, the authoritarian system is on the wane; citizens ought to become the true masters of their states. The fundamental way out for China lies only in dispelling the subservient notion of reliance on “enlightened rulers” and “upright officials,” promoting public consciousness of rights as fundamental and participation as a duty, and putting into practice freedom, engaging indemocracy, and respecting the law. 2. Separation of Powers and Checks and Balances: Construct a modern government that separates powers and maintains checks and balances among them, that guarantees the separation of legislative, judicial, and executive powers. Establish the principle of statutory administration and responsible government to prevent excessive expansion of executive power; government should be responsible to taxpayers; establish the system of separation of powersand checks and balances between the central and local governments; the central power must be clearly defined and mandated by the Constitution, and the localities must exercise full autonomy. 18. Federal Republic: Take part in maintaining regional peace and development with an attitude of equality and fairness, and create an image of a responsible great power. Protect the free systems of Hong Kong and Macau .On the premise of freedom and democracy, seek a reconciliation plan for the mainland and Taiwan through equal negotiations and cooperative interaction. Wisely explore possible paths and institutional blueprints for the common prosperity of all ethnic groups, and establish the Federal Republic of China under the framework of a democratic and constitutional government. © This poem is available for free public use only on 20th March 2012, as part of the worldwide readings in support of the Internationales Literaturfestival Berlin Freedom for Liu Xiaobo appeal. This poem is part of a selection of Chinese poetry translated by Zheng Danyi, Shirley Lee and Martin Alexander, and published by the Asia Literary Review. Zum 80. Jahrestag der Bücherverbrennungen am 10. Mai 1933 gedenken der Börsenverein, die Akademie der Künste zu Berlin, das PEN-Zentrum Deutschland und der Verband Deutscher Schriftsteller in ver.di sowohl der Schriftsteller, deren Bücher damals verbrannt wurden, als auch derjenigen, die heute unter Zensur stehen, Behinderung der freien Meinungsäußerung erfahren oder deren Leben bedroht werden. Konkret rufen sie zur Solidarität mit dem chinesischen Schriftsteller Li Bifeng auf. In ihrer gemeinsamen Resolution heißt es: Li Bifengs Beteiligung an den Tiananmen-Protesten vom 4. Juni 1989 brachte ihn für fünf Jahre ins Gefängnis. Nach einer weiteren Inhaftierung von 1998 bis 2005 wurde er 2011 erneut verhaftet und ein Jahr später zu zwölf Jahren Haftstrafe verurteilt. Schwere und brutale Folterungen haben bei ihm unheilbare Verletzungen und Verkrüppelungen hinterlassen. Li Bifeng ist ein Schriftsteller, der nur im Untergrund tätig sein kann. Seine Gedichte, Romane, Theaterstücke, Tagebücher und Aufrufe wurden beschlagnahmt und vernichtet, aber immer wieder hat er sie aus dem Gedächtnis heraus neu geschrieben. Wenn Li Bifeng im Jahr 2023 aus dem Gefängnis entlassen wird, hat er fast die Hälfte seines Lebens in Gefangenschaft verbracht, ohne dass diese langen Haftzeiten nach dem demokratisch freiheitlichen Menschenrechtsverständnis gerechtfertigt gewesen wären. Wer mit Staaten, die Menschenrechtsverletzungen begehen, wirtschaftliche Beziehungen pflegen will, ist in besonderem Maße verpflichtet, auf freier Meinungsäußerung und Menschenwürde zu bestehen. Denn nur wer die Rechte des Einzelnen wahrt, kann das Gemeinwohl gestalten. Diese Grundhaltung ist aus den Erfahrungen der Gräueltaten des nationalsozialistischen Regimes in das Grundgesetz unseres Landes eingeflossen.Wir fordern die Bundesregierung deshalb auf, sich bei der chinesischen Regierung mit allem Nachdruck dafür einzusetzen, dass die rechtliche Willkür gegen Li Bifeng beendet wird, er unverzüglich aus der Haft entlassen wird und seine Rechte als freier Schriftsteller ausüben kann.